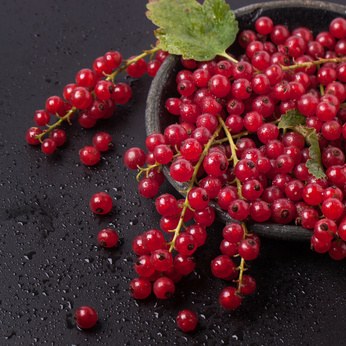 Tangy or sweet, juicy or tart: more sophisticated than a strawberry, but just as lush. 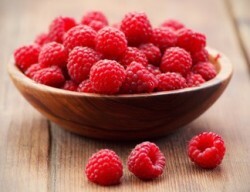 Raspberries quite often appear, nowadays, as part of a ‘red berry accord’ in fruity-, or fruity-floral scents. 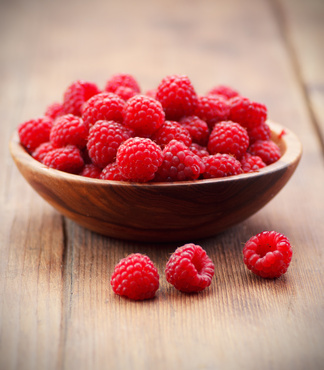 Cranberries and blackberries have similar aroma chemicals, but mostly, perfumers turn to one of two synthetics to recreate raspberry-ness: ‘frambonine’ or ‘raspberry ketone’ (which can also be used as a raspberry flavouring). Most of us know and love the fruit of the plant – which is a member of the rose family, and is grown all over the world – but just occasionally, the scent of its lightly woody-floral blossom makes an appearance in a perfume construction, too. Tart and sweet. Delicious mixed with lots of sugar and baked into pies and tarts; delicious when used to add a fresh, sharp edge to fruity florals and sheer aquatics, in perfumery. 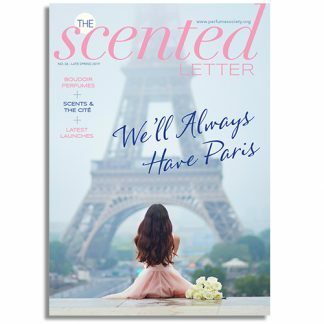 It pairs beautifully with rich flowery notes like jasmine, tuberose and rose. This long-stalked plant has been used for centuries for medicinal purposes, as well as in cooking – but with a little caution: the stalks may be edible, but the leaves are poisonous. Not the best-known fruity note – but rhubarb’s popularity is on the up, from all we’ve seen lately. 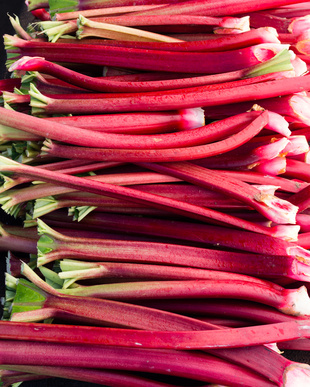 According to predictions, rhubarb is set to become a key fragrance trend for summer 2015. A fragrance without roses is almost as unthinkable as a love affair without kisses. 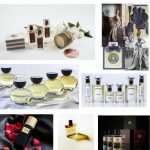 Not only are roses the most romantic of flowers to look at: they’re an absolute cornerstone of perfumery – the most important flower of all, from the point of view of a nose: sometimes powdery, sometimes woody, musky, myrrh-y, clove-like, sometimes fruity, or just blowsily feminine – but always, intensely romantic. Roses are said to feature in at least 75% of modern feminine fragrances, and at least 10% of all men’s perfumes. Today's savvy perfumers, however, are far from the first to recognise the sheer sensual potential of this 'Queen of Flowers'. 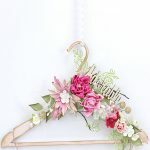 In Classic myth, the rose was linked both with the Greek goddess Aphrodite and her Roman counterpart, Venus. When Cleopatra welcomed Mark Antony to her boudoir, her bed was strewn with these aphrodisiac blooms and the floor hidden under a foot and a half of fresh-picked petals. Who could resist rolling around in that? Certainly no hot-blooded Roman, homesick for a city where rosewater bubbled through the fountains, awnings soaked in rose oil shielded VIPs in public amphitheatres from the baking sun, pillows and mattresses were stuffed with rosepetals (the better to propel the weary towards dreamland) and where rose garlands were the ultimate Roman must-have status symbol. The same flowers turned up in delicately-scented puddings, love potions and medicines. At one bacchanale, the Emperor Nero, clearly no tightwad, had silver pipes installed so guests could be spritzed with rosewater between courses. The fragrant liquid which refreshed Roman guests and was flung up by fountains all around town, however, was rosewater - the water in which roses have been steeped, then discarded. 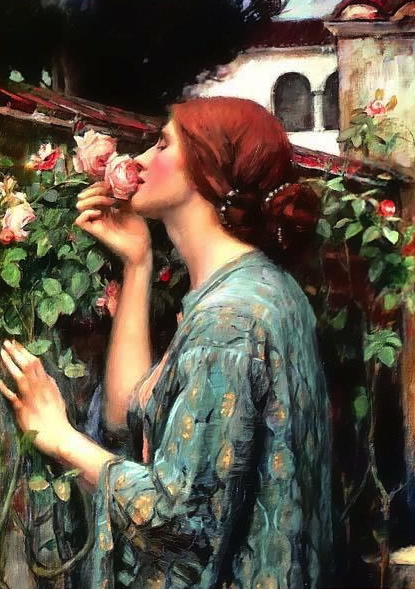 In reality, rosewater is the poor relation of the ‘true’ rose scent, from the oil that’s so essential a component of the perfumes which today send our senses into a delicious spin. Rose essential oil can come in the form of rose otto (also known as attar of roses), or rose aboslute. Rose otto’s extracted via steam distillation, while the more precious rose absolute, via solvent extraction, or CO2 extraction. Around 70% of the rose oil in the world comes from Bulgaria; other significant producers are Turkey, Iran and Morocco, and precious, limited quantities from Grasse. The task of the rose-picker is to pick the dew-drenched blooms before 10 a.m. at the latest, when the sun evaporates their exquisite magic. So fast does the rose fade, in fact, that some farmers in Turkey and Bulgaria transport their own copper stills to the fields, heating them on the spot over wood fires to distill the precious Damask Rose oil, which separates from the water when heated in only the tiniest of quantities: 170 rose flowers are said to relinquish but a single drop. 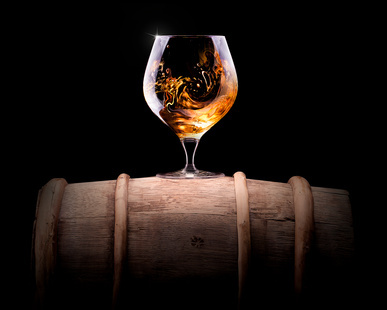 Half-way between a berry and a rose, we’d say this note is. 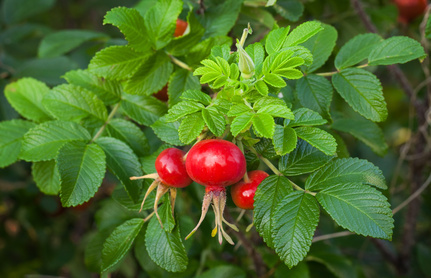 From the berry of the rose – one of the richest sources of vitamin C, in nature – rosehip’s floral-fruity tang mostly makes its way into feminine fragrances, and the odd masculine scent. 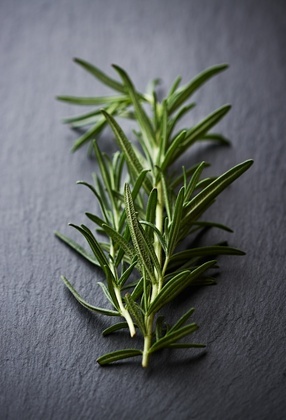 Because of those herby qualities, rosemary’s used with only the lightest touch in female perfumes, though more widely in so-called ‘men’s scents’. Its use actually goes way, way back: the Ancient Greeks burned rosemary as incense, and it became part of religious ceremony (and even exorcisms): the smoke of rosemary is deeply cleansing. Rosemary wasn’t known to the Arab perfumers, but it started to be distilled as an oil in the 15th Century, and was a key ingredient in one of the first ‘modern’ perfumes, Hungary Water. It’s also said to be good for memory (as well as for stimulating hair growth), and is used symbolically in weddings, funerals and war commemorations in the UK and Australia: ‘Rosemary for remembrance’. Rosewood has been prized by carpenters and furniture makers for centuries: we know it as rock-solid, strong, darkly handsome and perfect for everything from guitars to chess pieces. But wait! 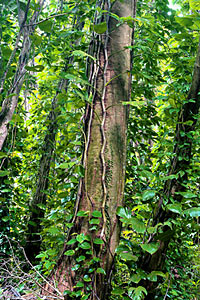 It’s not that type of rosewood which perfumers use, with its floral, slightly rose-like odour: that’s from the Aniba rosaeodora tree, better known as Brazilian rosewood. It takes a massive amount of the tree’s wood to produce the oil: each tree’s said to yield just 1%, by weight, of oil to wood. With such huge amounts of timber felled to extract teensy qualities of oil, it’s no wonder that Brazilian rosewood trees – which are grown in the rainforests of Brazil, Mexico and Peru – are now protected, under CITES (the convention which safeguards endangered flora and fauna). It’s also on the official list of endangered flora of Brazil. So: how come rosewood still turns up on ingredients list…? Clever perfumers know that other woods deliver similar effects, and can be used to replace its richness.